Best for children in pre-school learning their basic colors. 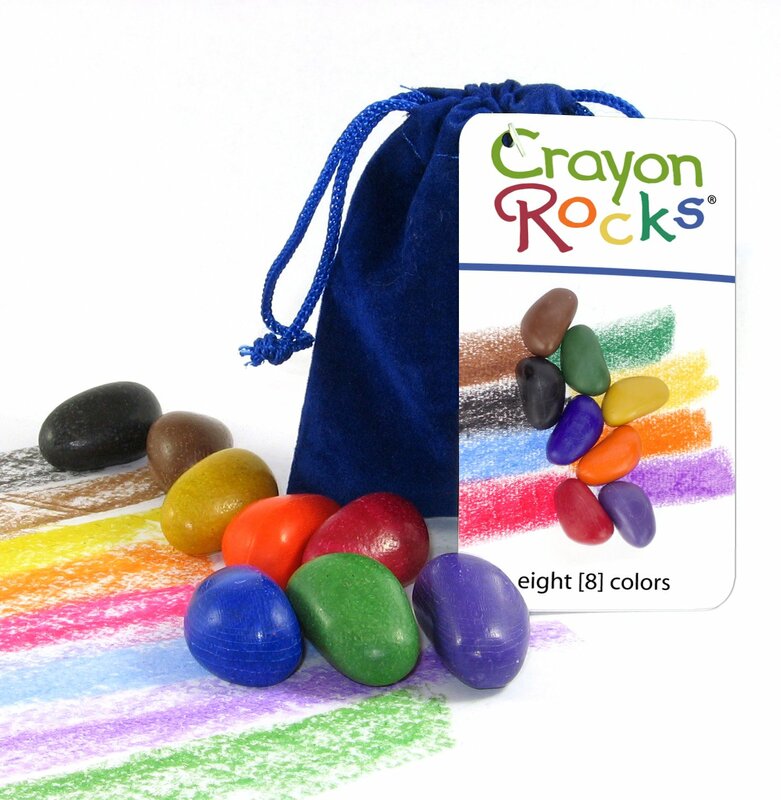 Non-toxic, soy wax crayons in 8 colors: red, green, blue, egg yolk yellow, black, brown, orange, purple in a blue velvet bag. Designed to strengthen the tripod grip muscles in young children and improve motor coordination. Allows small fingers to color easily in large, wide strokes. Crayon size is 1 1/4 x ¾ inch. 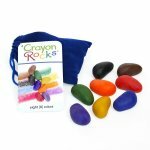 Crayon Rocks are long lasting and durable. Although appearing smaller, volume is actually a little greater than major brand stick crayons. The size was carefully selected for the hands of young children, 3 years and older!